As I had previously mentioned, I am a total pushover for anything Christmas related. Jake and I were in a local home store last night to check out their Christmas decor. The store is warehouse sized and their Christmas items fill up an entire room. It is like my Candyland. I realized that my decor standards drop a bit when it comes to carved wooden Santas and glitter encrusted ornaments. 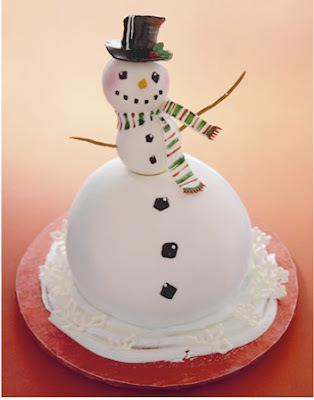 I don't think that I need to compromise, however, when it comes to these gorgeous cakes from the Cake Girls in Chicago. These would be a lot of fun for a winter wedding. 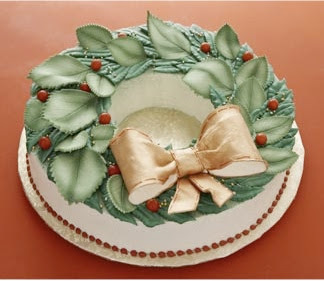 That wreath would be beautiful on top of a larger tiered cake- even if you changed the colors to fit your wedding. 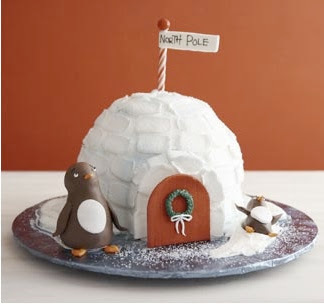 That snowman is my favorite. I love how he looks like he is dancing!